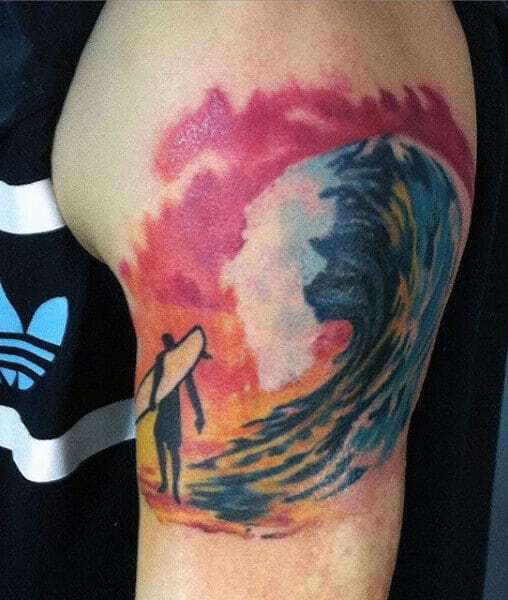 It’s easy to surf across the perfect wave, yet even easier to get lost in it staring far from the beach shore. 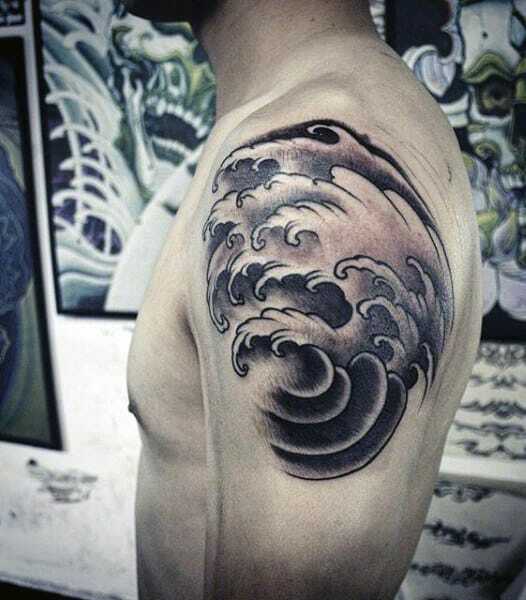 The constant motion of the ocean, though, breaking off at the shore, still manages to appear calm and quite tranquil. 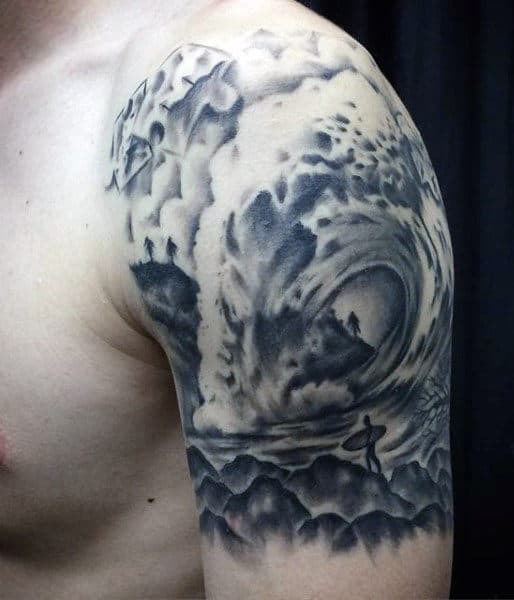 However, when the storms brew, the once peaceful waves turn into terror. 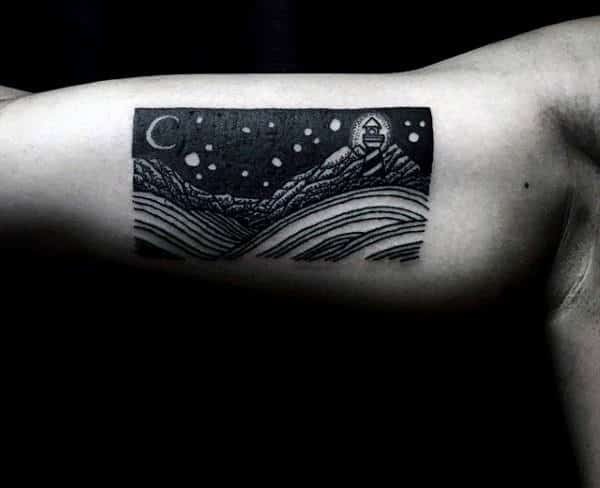 The idea is beautifully captured in the famous The Grave Wave woodblock print by the renowned Japanese artist Hokusai. 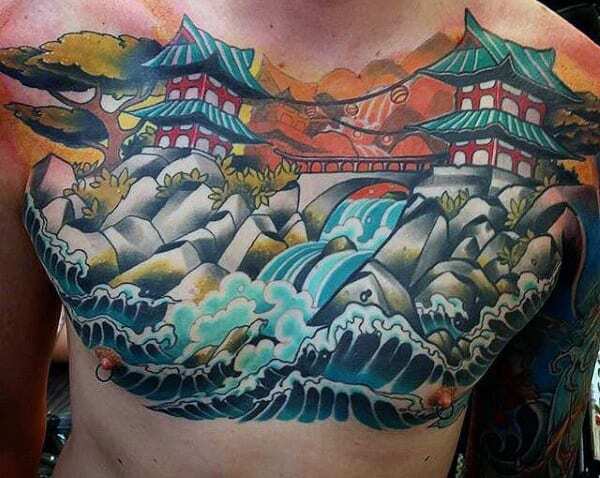 It’s believed t be crafted back in 1830, though some others claim 1833. 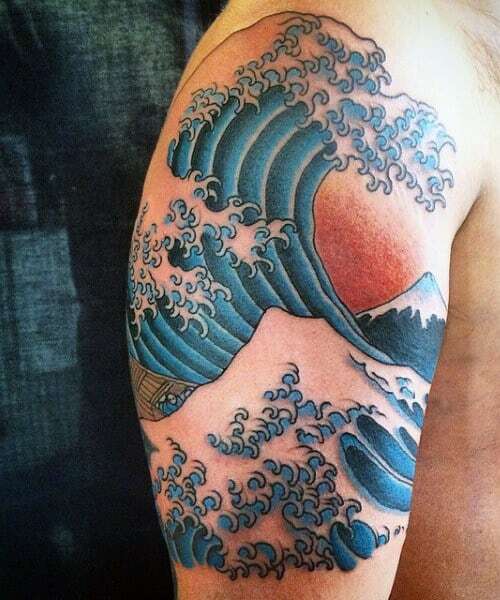 In this drawing, Hokusai featured vivid details of the deep blue in the wave’s curve. 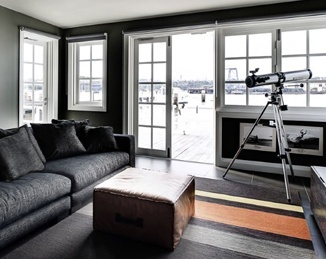 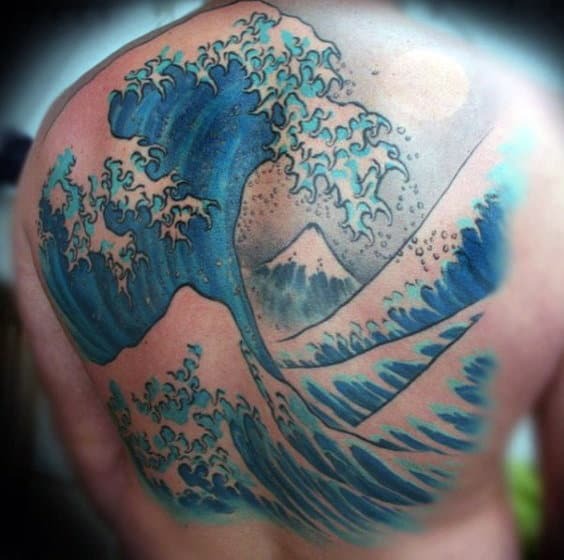 Yet, his inspiration truly stemmed from the fact that his own country was completely surrounded by ocean water. 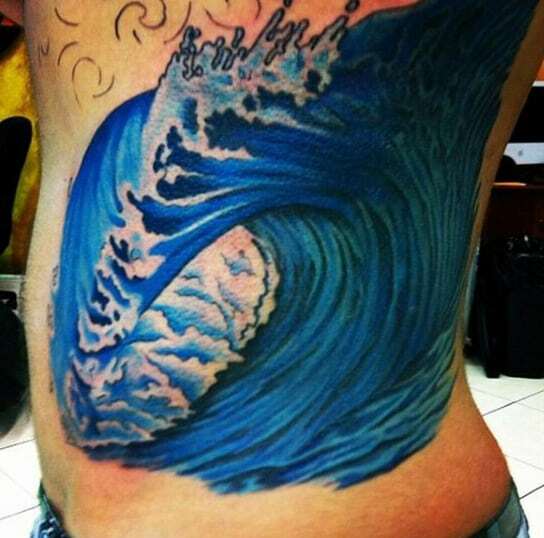 It’s a good reason why his artwork captured the wave so precisely. 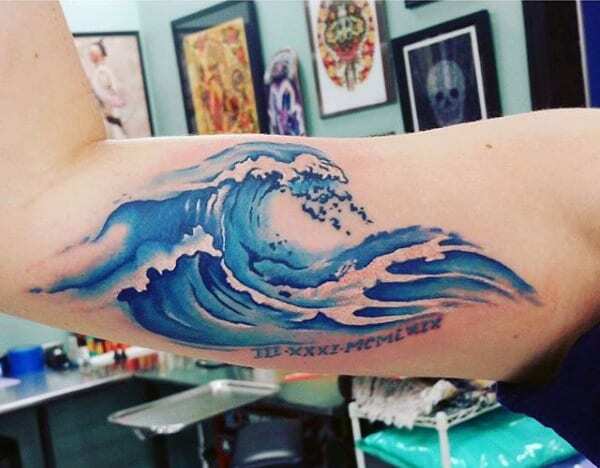 On the other hand for others, waves aren’t interrupted out of terror, rather their appreciated for being symbols of life’s constant motion. 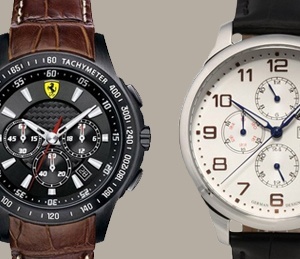 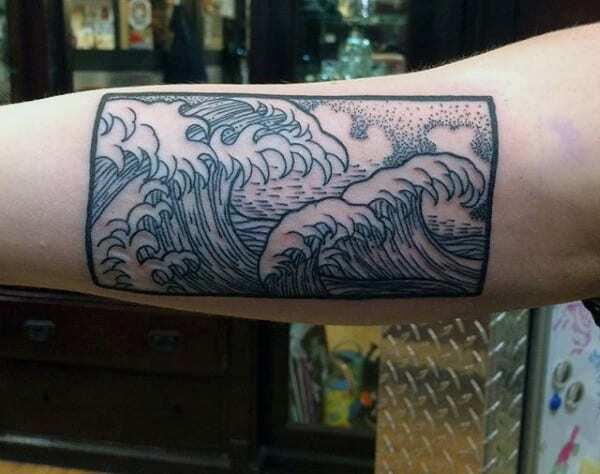 It’s an unstoppable force of nature that continues on and on over the course of time. 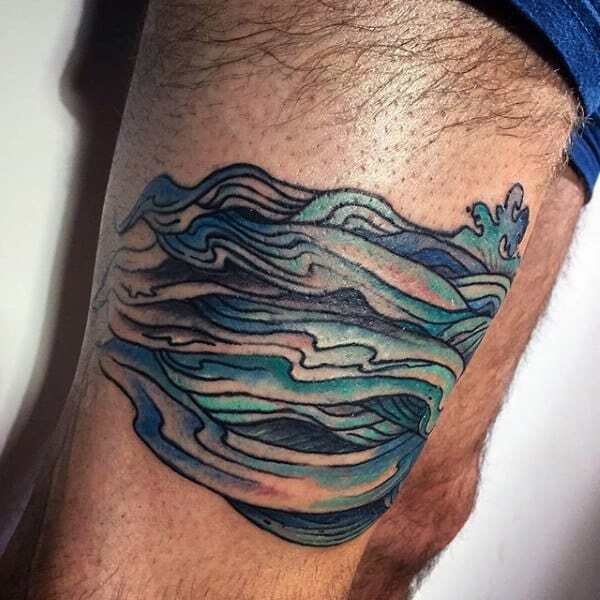 In another light, waves can represent how even with all the strength in the world, water can still manage to work its way free. 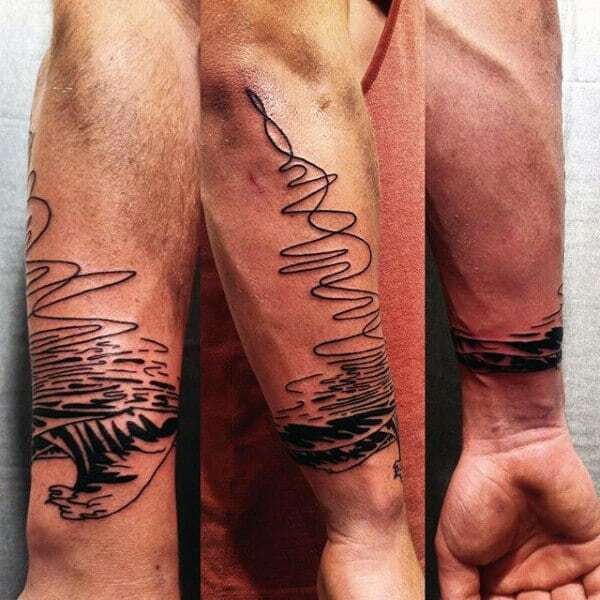 Just like life itself, many things refused to be grasped and remain elusive to us. 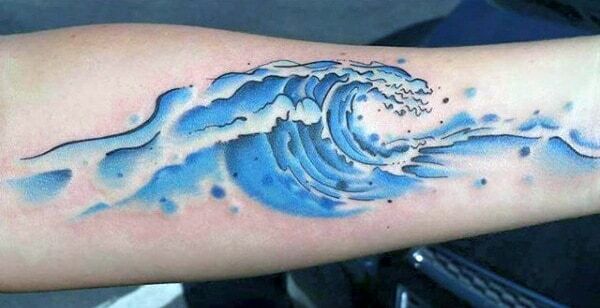 Of course, water itself can also symbolize purity or purification too, like holy water for instance. 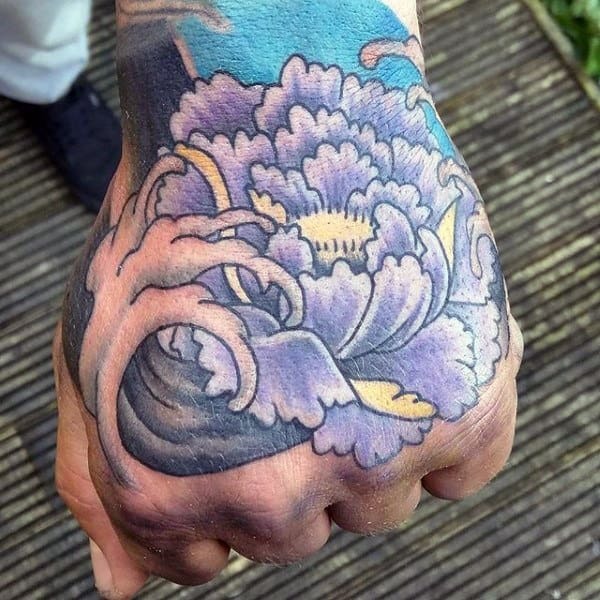 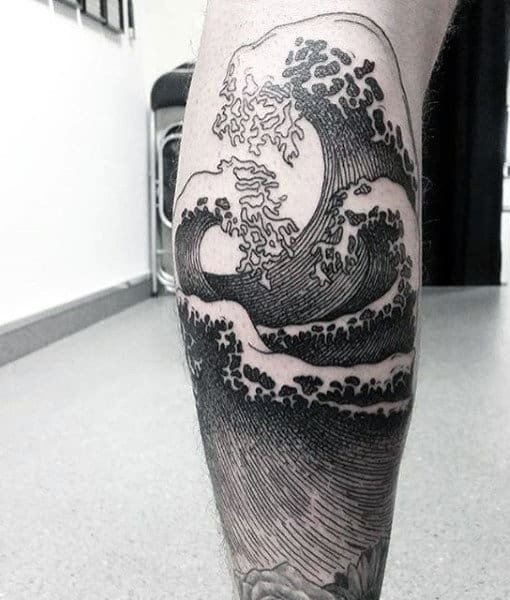 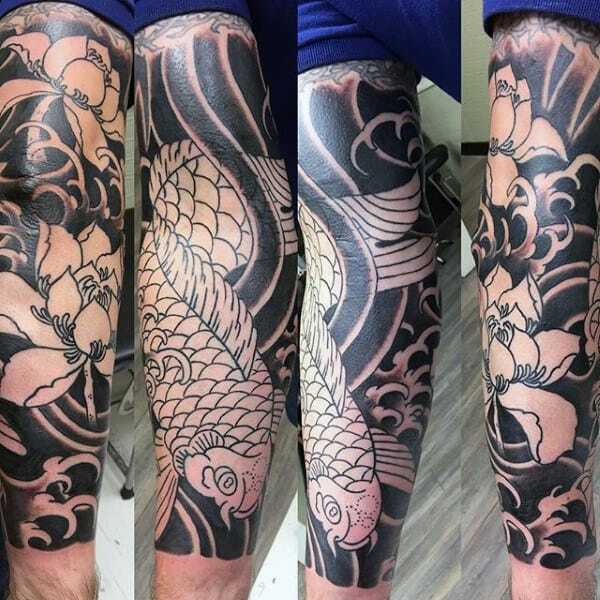 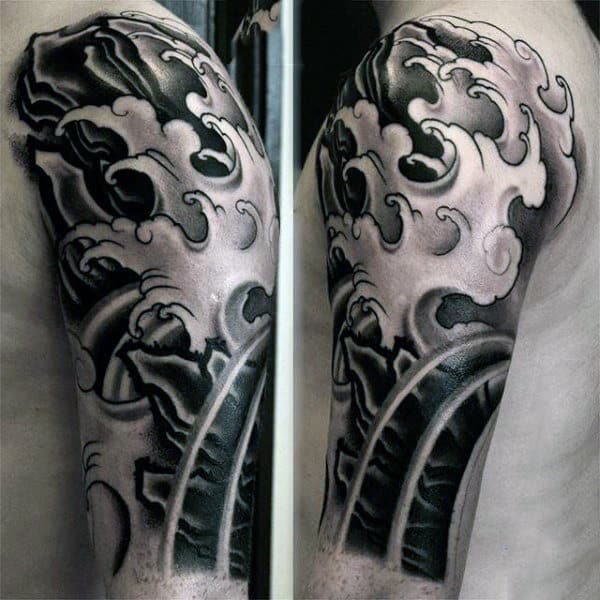 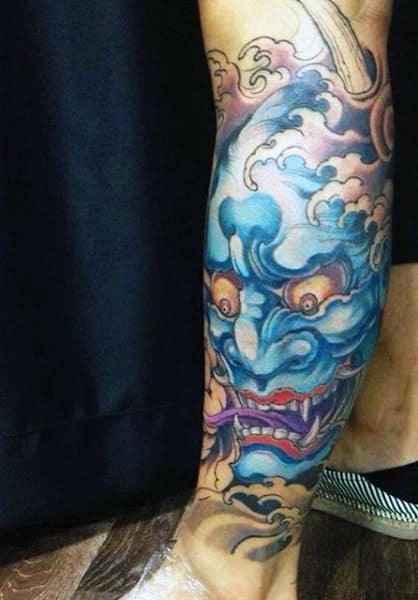 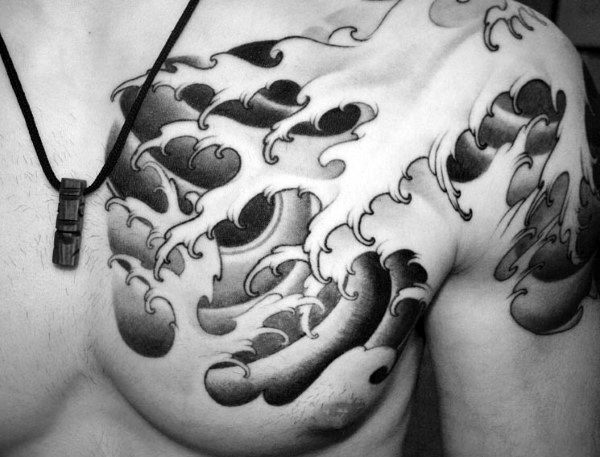 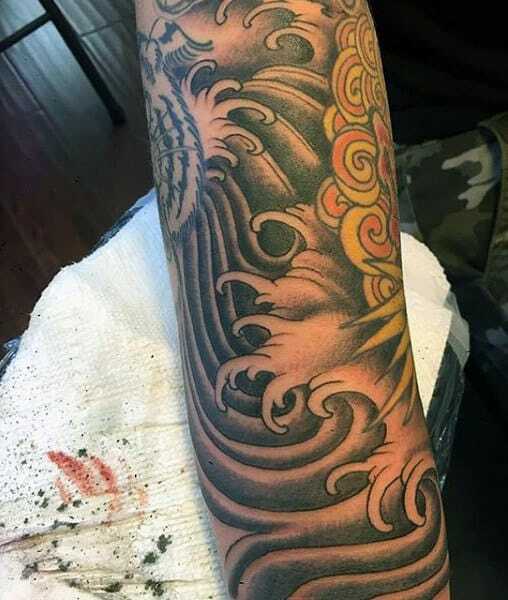 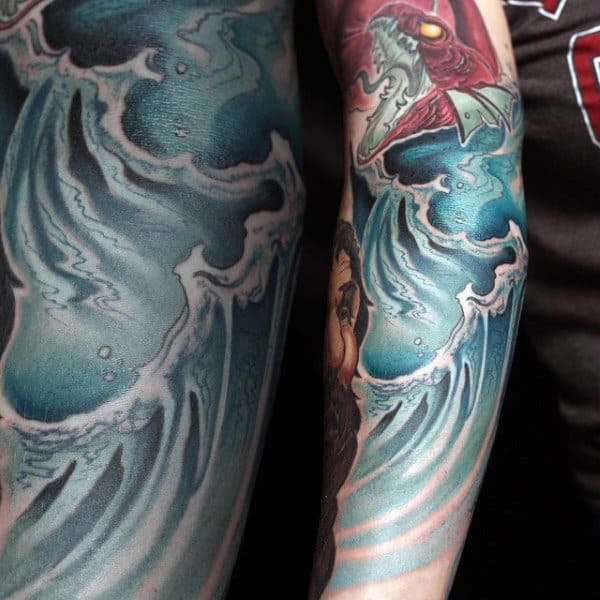 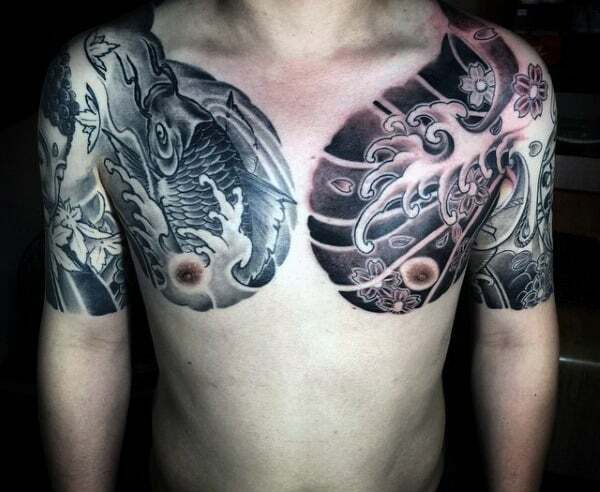 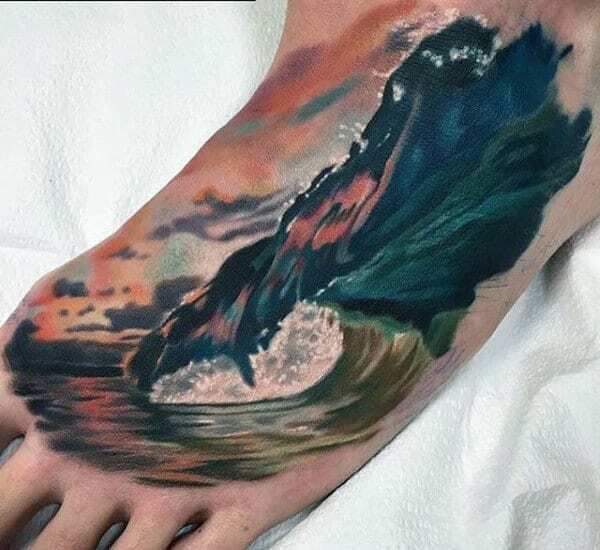 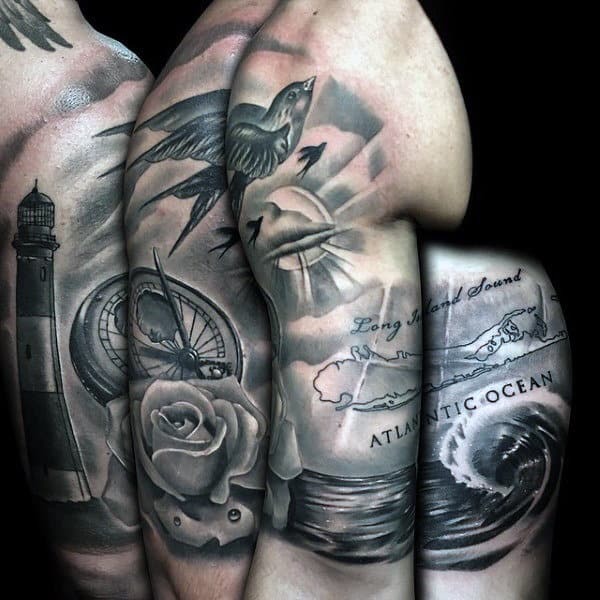 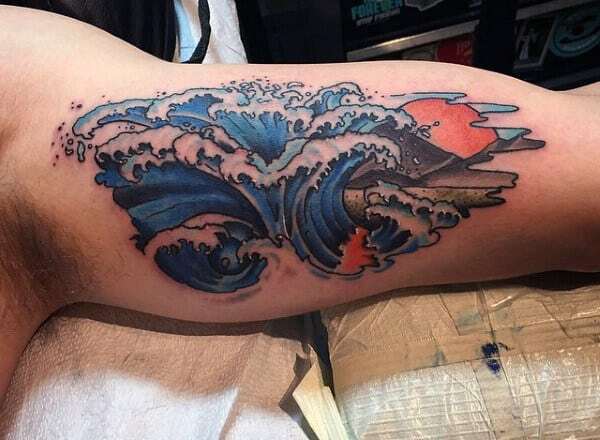 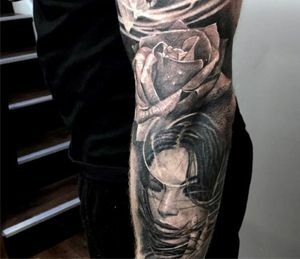 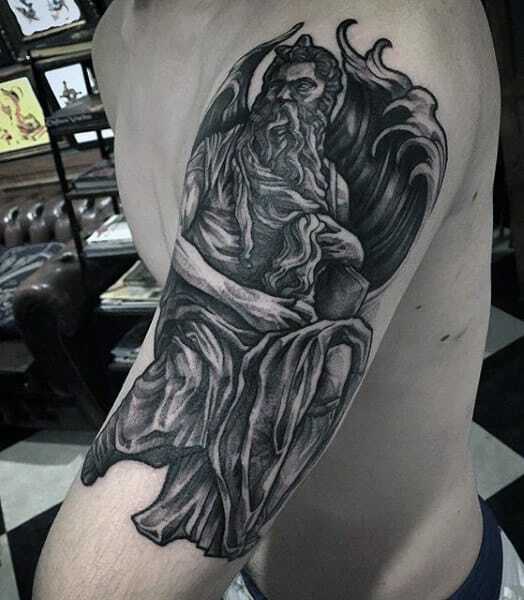 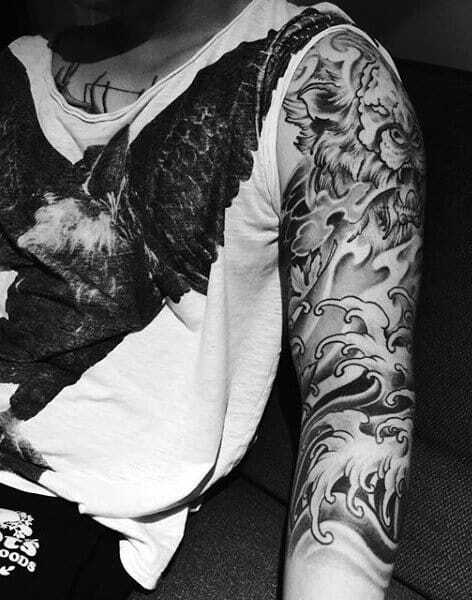 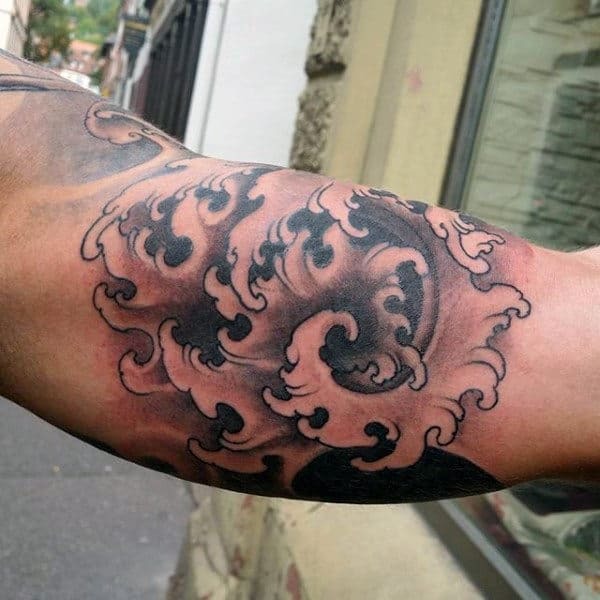 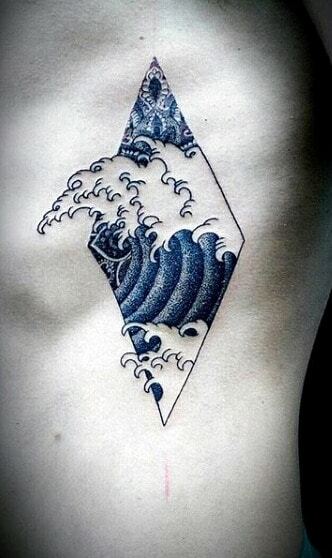 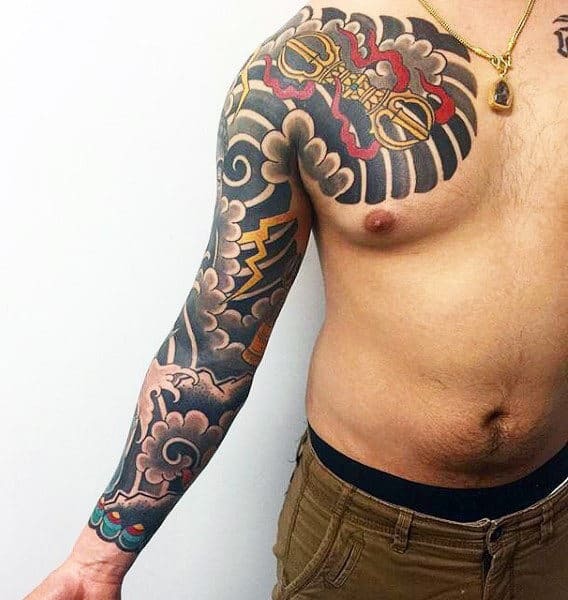 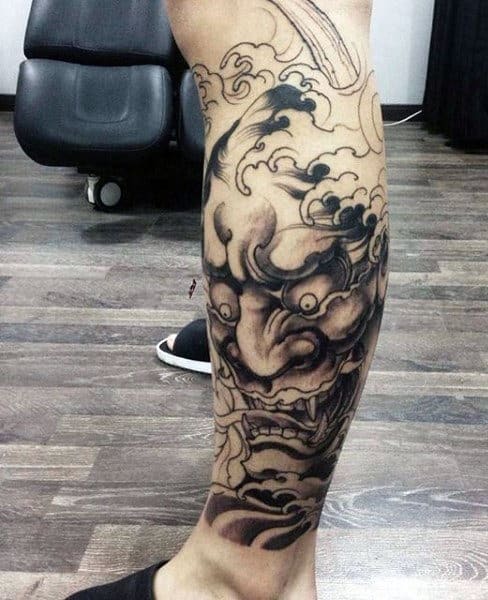 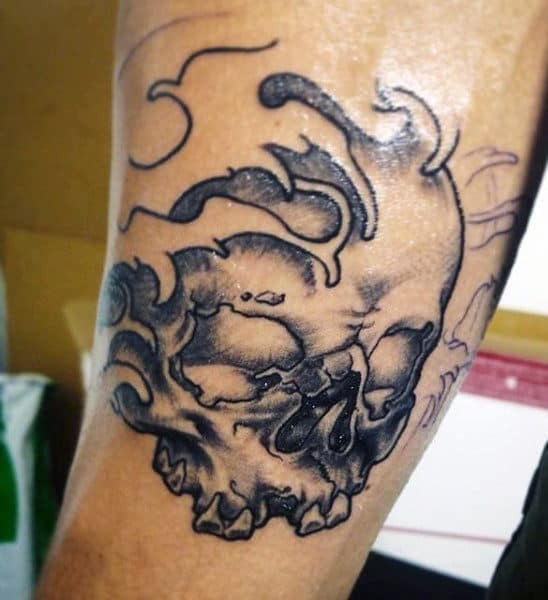 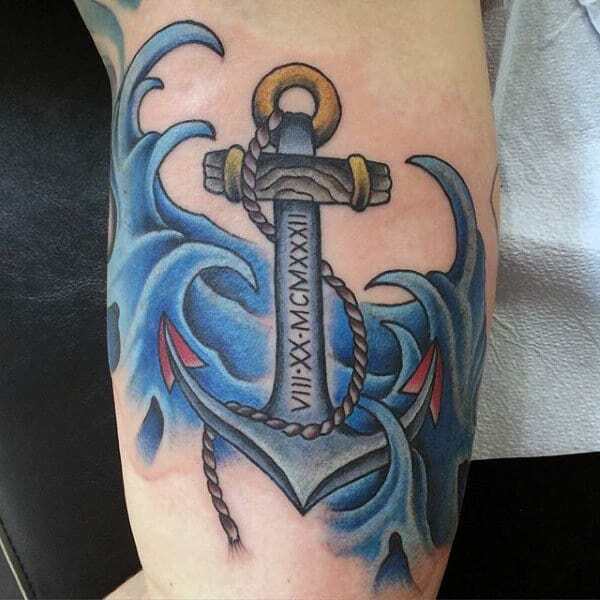 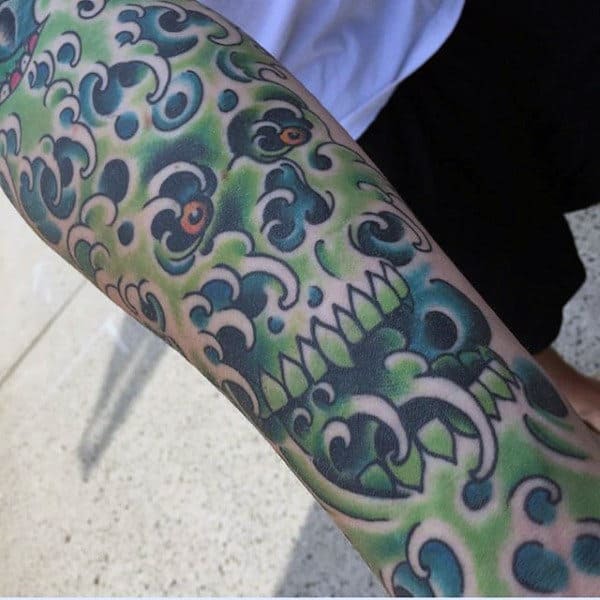 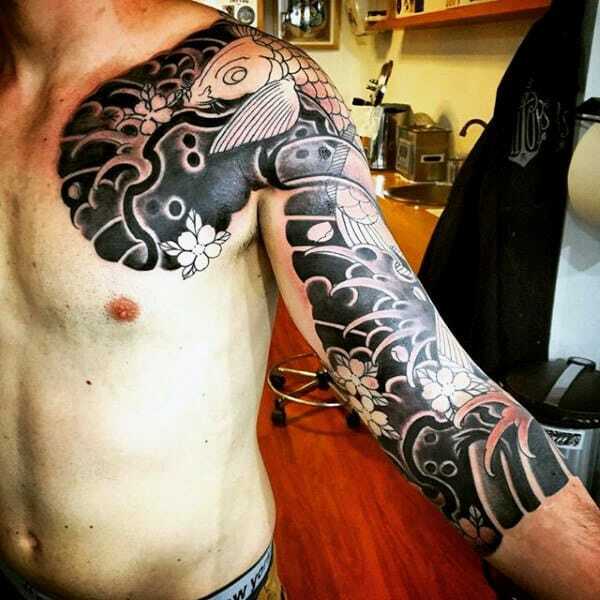 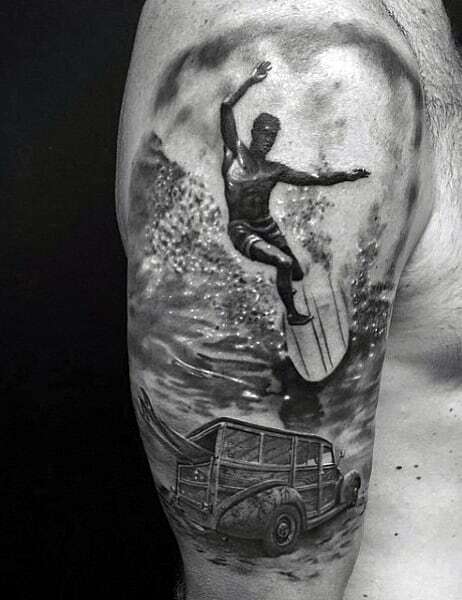 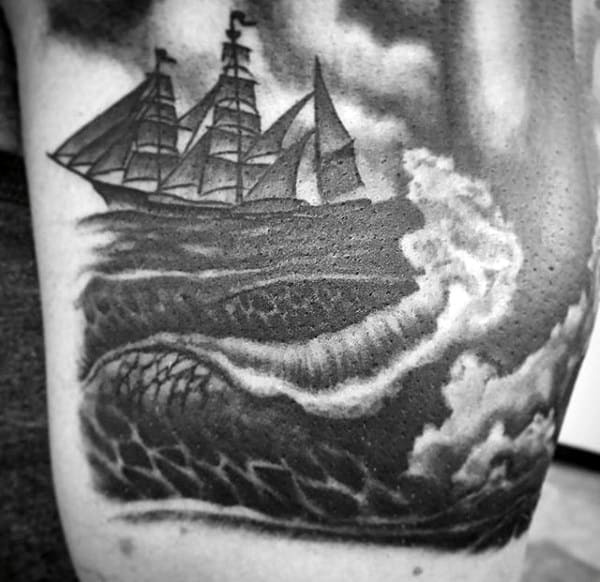 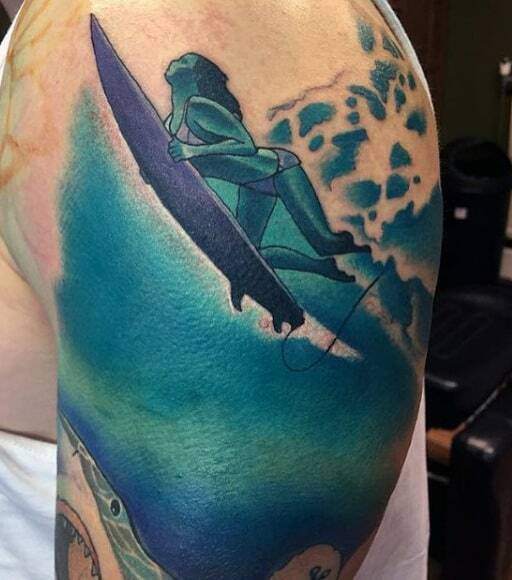 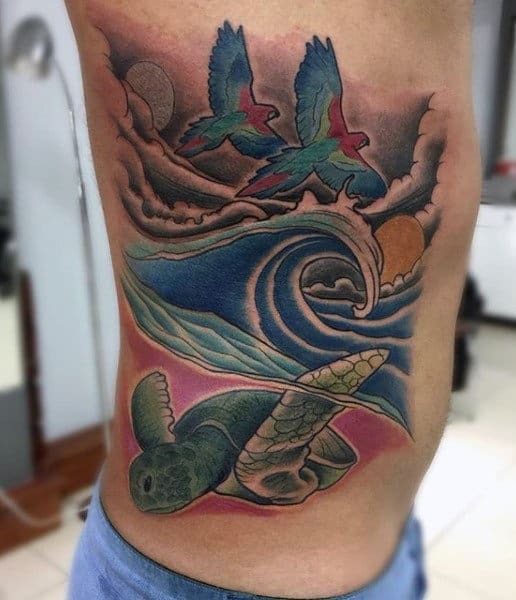 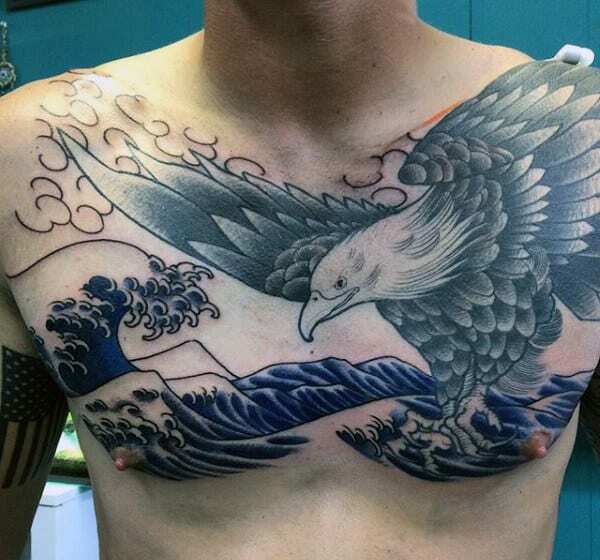 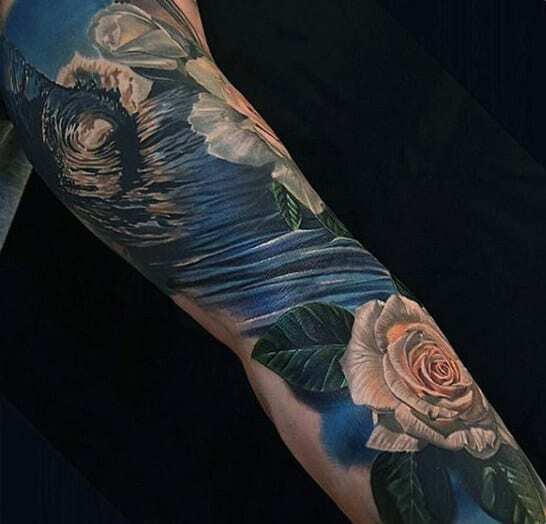 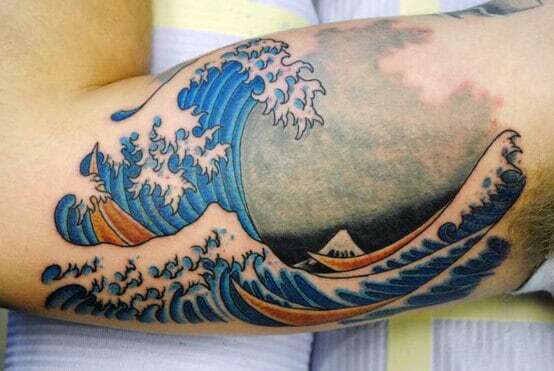 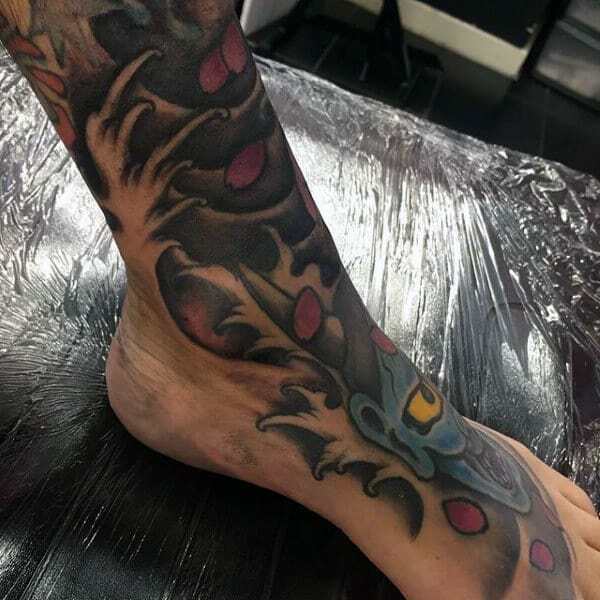 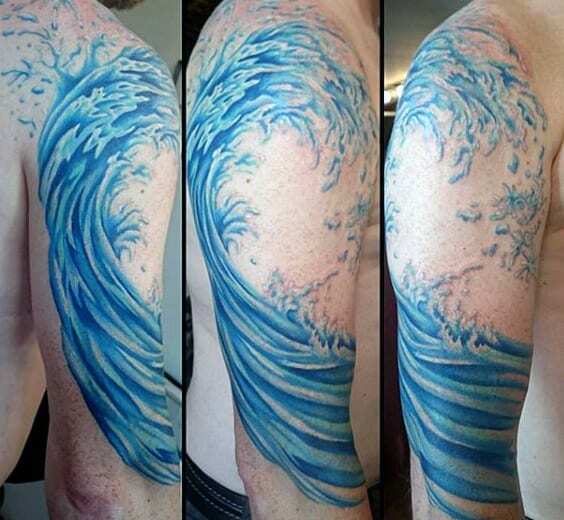 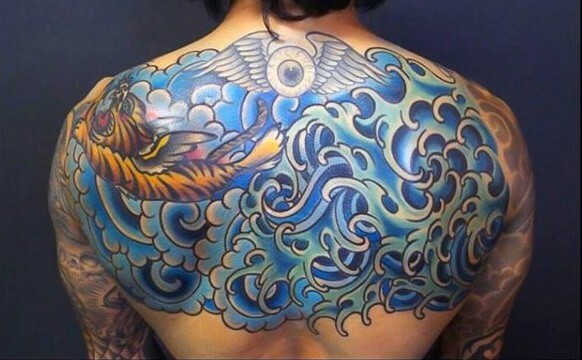 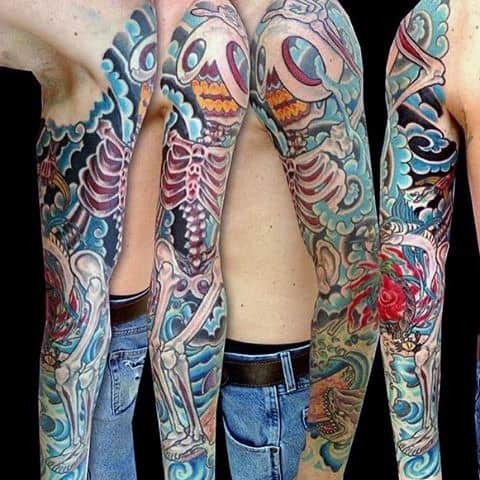 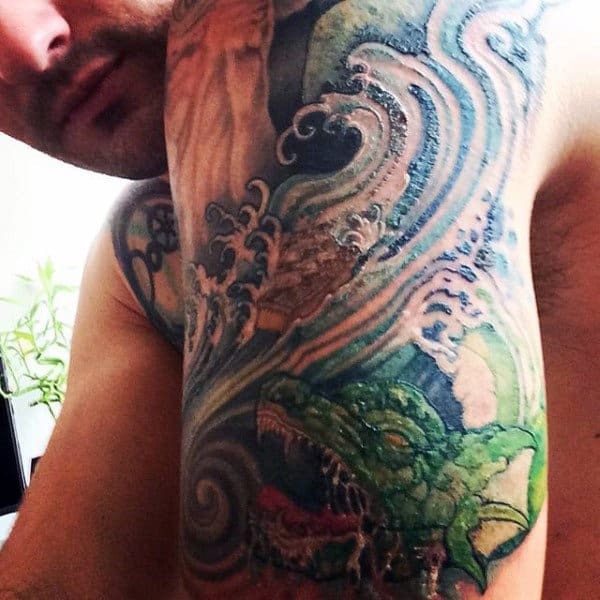 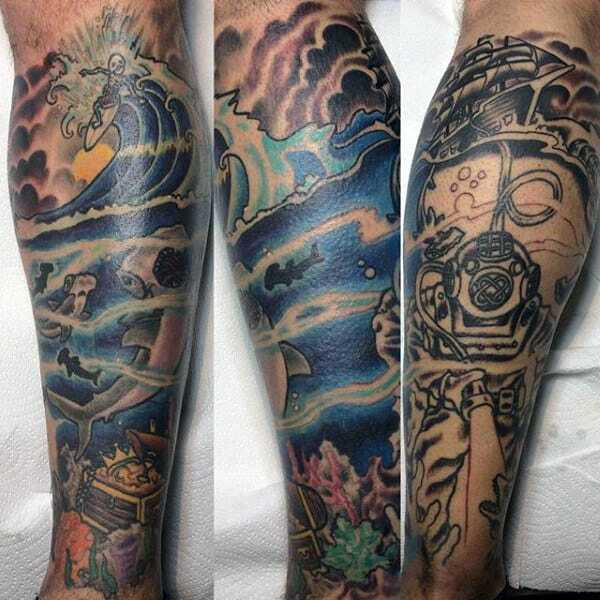 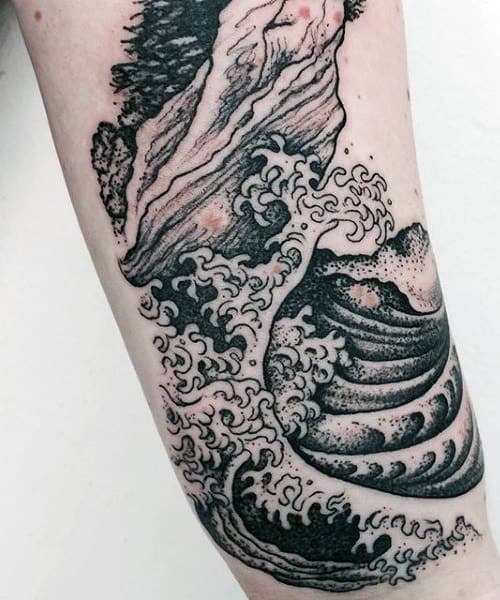 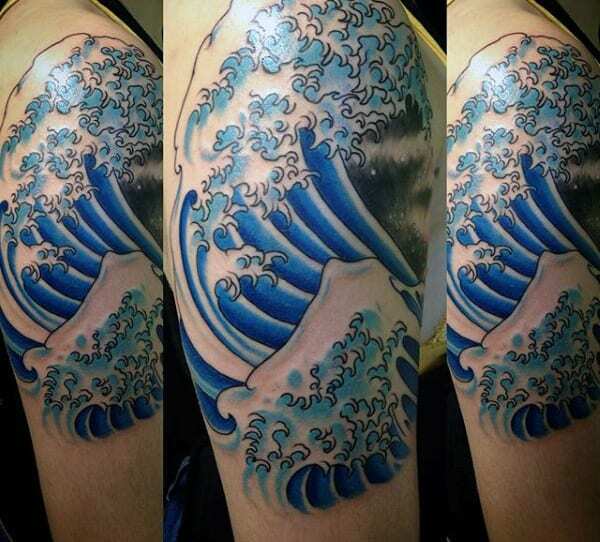 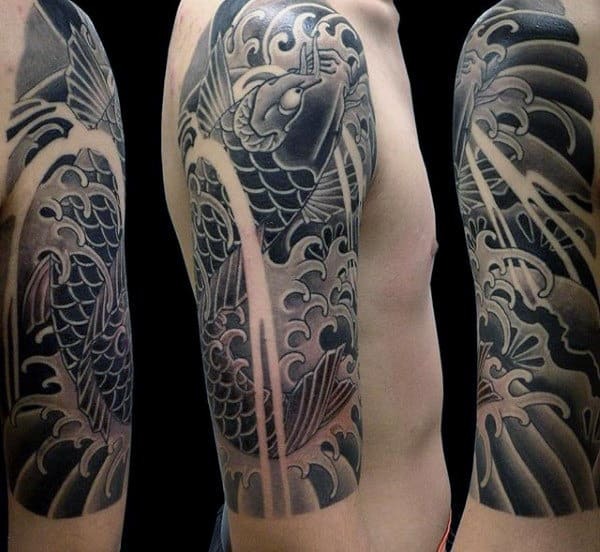 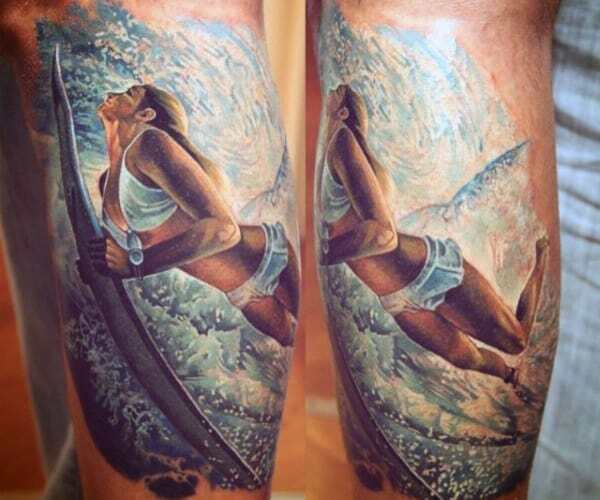 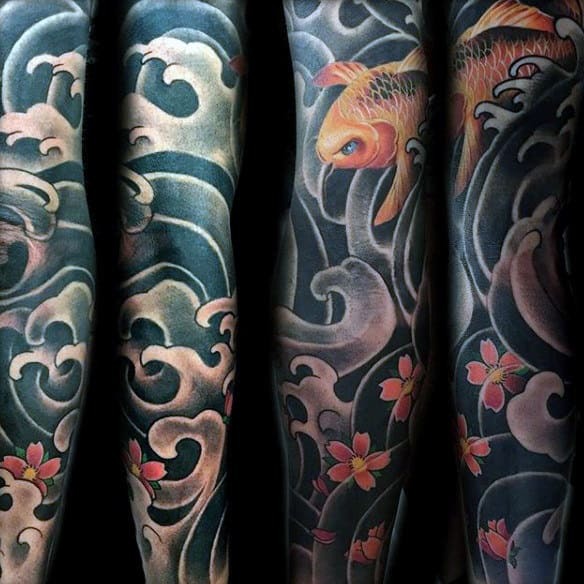 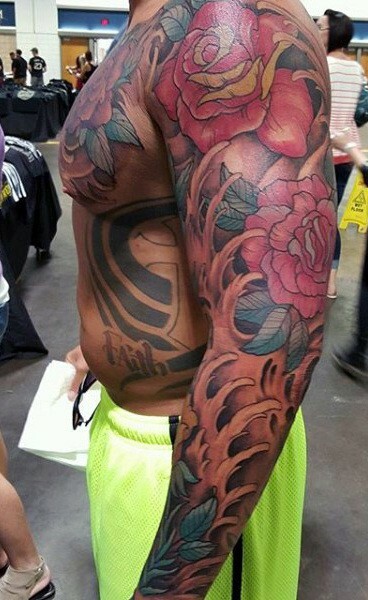 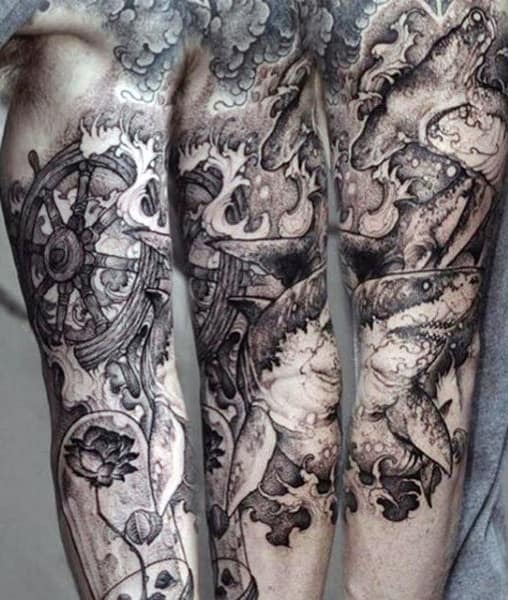 Yet no matter your inspiration, I’d like to share with you a collection of the top 60 best wave tattoo designs for men. 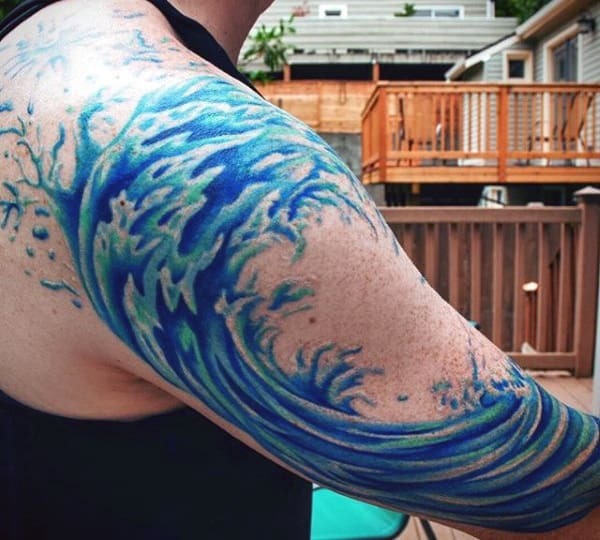 You’ll discover an ocean of masculine ideas featuring all sorts of unique and creative ink styles.